Don't Miss the 2017 Killington Wine Festival Weekend! « Step Back In Time With A Visit To Skunk Hollow Tavern! 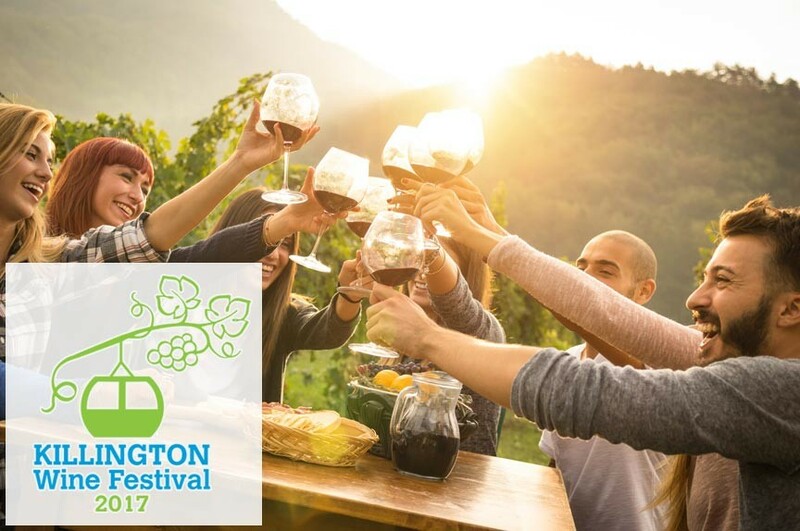 Don’t Miss the 2017 Killington Wine Festival Weekend! The 16th annual Killington Wine Festival Weekend is just weeks away. If you enjoy fine wine and the beautiful scenery of Vermont’s Green Mountains, you won’t want to miss it! Wine tastings, pairing dinners, concerts, and more: July 14th through the 16th, 2017. The Killington Wine Festival Weekend has become one of the Woodstock region’s annual traditions. The event is held each year atop Killington Peak, one of Vermont’s tallest mountains. It’s also home to Killington Ski Resort, the largest ski and mountain bike resort on the east coast. Attendees to the event enjoy fine wines from around the world, as well as Vermont-made spirits and specialty foods. 30+ wineries and wine suppliers will be on hand with wines ranging from crisp, light whites to deep, full-bodied reds – and everything in between! This year boasts 16 different events, in recognition and celebration of the festival’s 16th anniversary. Enjoy a scenic gondola ride to Killington Peak Lodge for an exclusive wine tasting. Meet the vintners and representatives behind the weekend’s wines and take in the best views in Vermont. Estate & specialty wines will be available to taste, accompanied by light hors d’oeuvres. The Killington Wine Trail showcases wine and food pairings at local restaurants. Come taste some of the best food of the region paired with fine wines from around the world! Enjoy a seemingly endless variety of wines from around the world at the Killington Wine Festival Weekend Grand Tasting. The Grand Tasting also features Vermont spirits, local artisanal cheeses, chocolates, and more. Attendees enjoy a round-trip scenic gondola ride and take home a signature tote and wine glass. Grab a lawn chair or blanket and settle back for an afternoon’s FREE concert featuring top names from the national music scene! Enjoy special wines or food and wine pairings at local restaurants. Wine & Nine is 9 holes of golf at Green Mountain National Golf Course combined with 9 specialty wines. Executive Chef Bryan Gudelis of the Garlic Restaurant will be on the course to pair some of The Garlic’s amazing appetizers with the wines. Finish up your evening with a delicious dinner and prizes in the clubhouse. Be sure to visit the Killington Wine Festival website for tickets and more information. The events at the Killington Wine Festival are less than a half-hour’s drive from our Vermont B&B in Woodstock, Deer Brook Inn. Our stylish, 1820’s farmhouse inn offers distinctive yet casual Vermont lodging. Our four spacious guest rooms and suites offer casual elegance, en suite bathrooms, and breakfasts featuring fresh, local, organic foods. Book your stay at Deer Brook Inn now before we fill up for the festival!